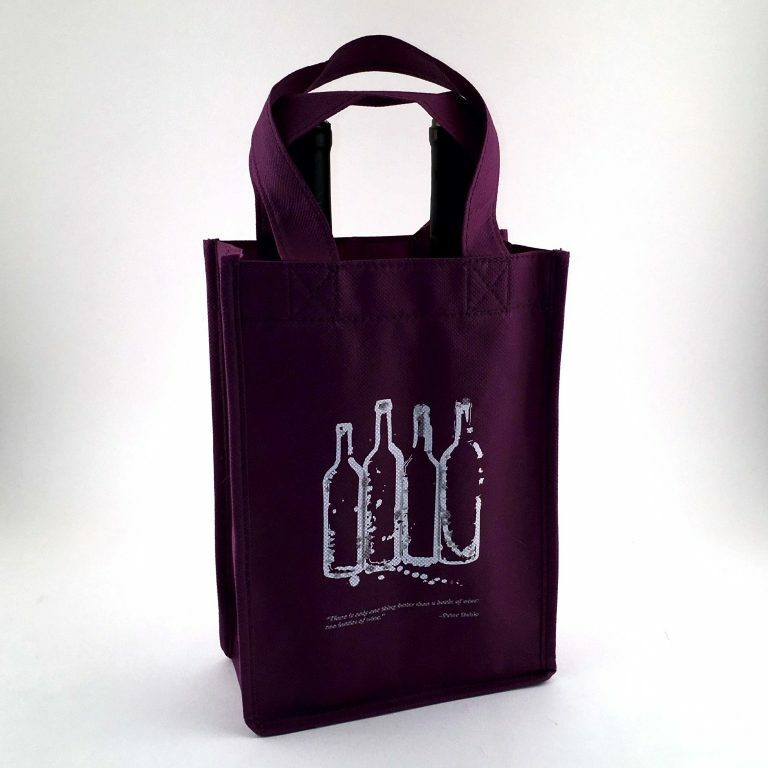 Non Woven 2 Bottle Wine Bag is sturdy, environmentally friendly, tear and moisture resistant. Safely transports 2 wine bottles. Features “There is only one ting better than a bottle of wine: two bottles of wine” –Peter Dobie. Custom sizes and printing available. Contact us for a custom print quote.